Warning - This is very random. I've owned LSB coupe for some time and driving it each time is an event. I obviously like the driving dynamics and balance while I particularly enjoy the kind of following the color brings! I've always been a fan of relatively lighter cars e.g. ITR, S2K, E46 over heavier alternatives e.g. G35...thoughts? Most of us keep the E46 M3. Only thing I'd consider moving on to would be a 911 of some sort. Ideally I'd like to add to the garage and not subtract. CSL induction roar is too good to let go. I wouldn't mind adding a 1M if I could afford to, but I can't imagine selling the E46 M3. Even if I had a GT3 RS, I'd still want to keep the 46M. A lot of guys just collect other M car models. I’ve been looking at a 993 4CS or 997.2. From what I can tell, most people move onto 911s. Original NSX with pop up headlights. The design is timeless and stands out even today. +1, and a 2006 Evo. Maybe even an fq but now we're just talking off subject a bit. And I'm hoping to keep my E46. But that new m5 is likely really tradable. Luckily I own the two cars I want. I am sure I could think of others I wouldn’t mind owning. However, the daily is quick, looks good (to me anyways ) and great on gas... when I’m not boosting . As for the M, when I’m done with all of its goodies, will be a pretty powerful toy . 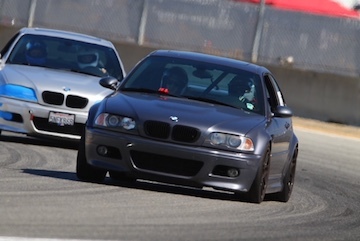 You just keep E46M, and add other cars, if at all possible. I have made a mistake of selling my E46Ms three times and always bought them back. My 4th one is a keeper. Love my LSB and can't picture ever selling it!! It's my daily for a short commute but I'll need a four door most likely within the next two years and could see myself going for a E46 touring, E90 M3, or Raptor. Would love to buy an S2K or long hood 911/912 as another fun toy though. I mean it's not necessarily color specific but I've gone too far down the rabbit hole to sell my car. Therefore I must add more. Currently building a Z3M Coupe. Have a 2010 E83 X3 6MT as a daily. Looking for an FD RX7 or CTSV wagon to complete the garage before the real cars come in. All times are GMT. The time now is 03:43:48 PM.